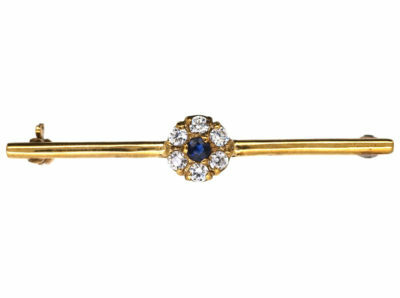 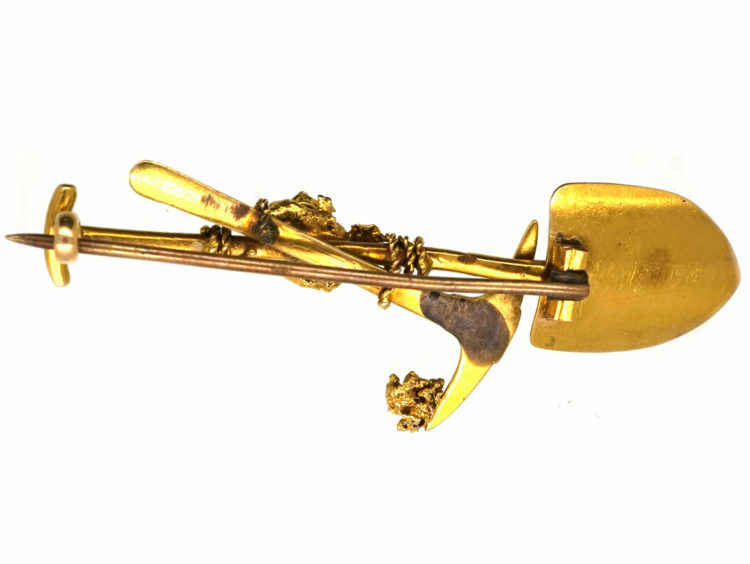 An unusually detailed 18ct gold digger brooch that was made circa 1900. 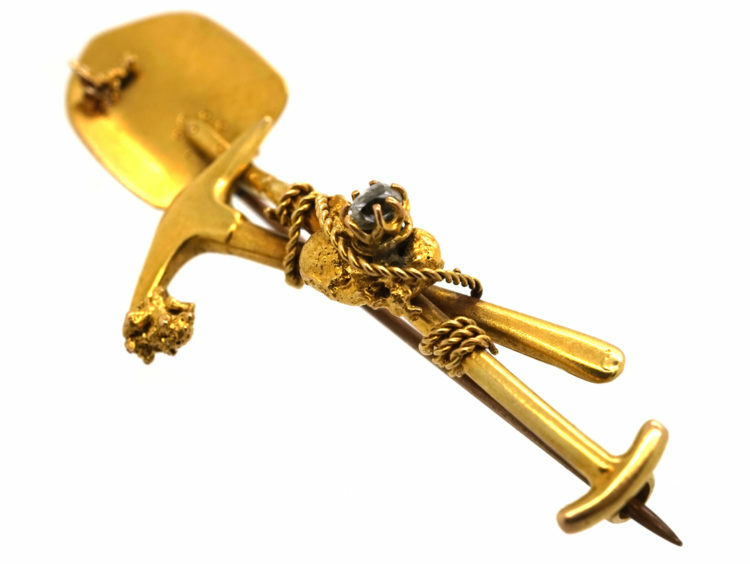 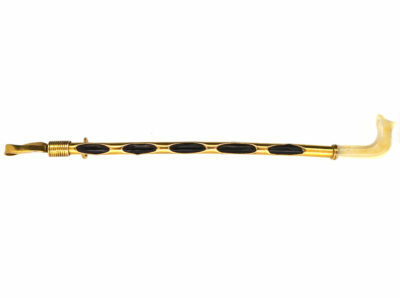 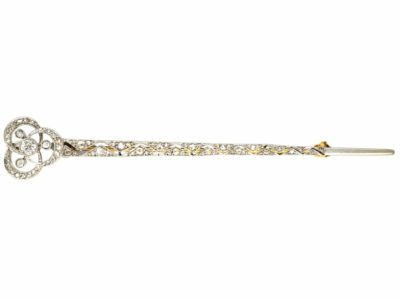 It consists of the gold spade with a lucky gold nugget on the tip of the blade and on the handle with a rough diamond set on top of the rope. Around the handle are the miners essential tools, a pick and a rope. 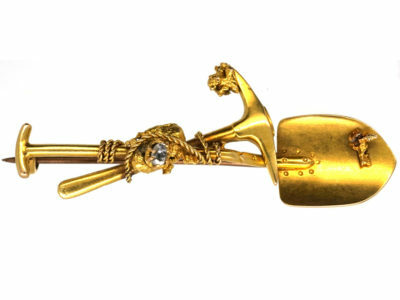 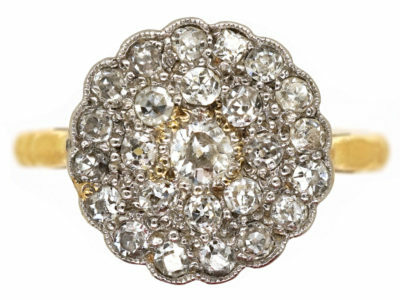 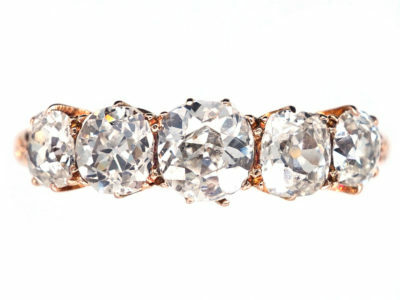 It would have been worn by a girlfriend or wife of the miner who had gone in search of gold and diamonds during the Gold Rush in South Africa. 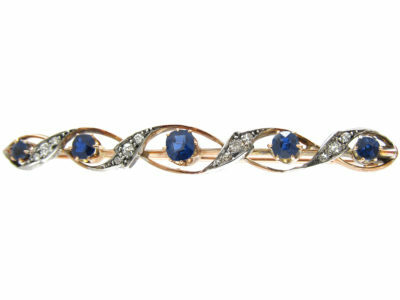 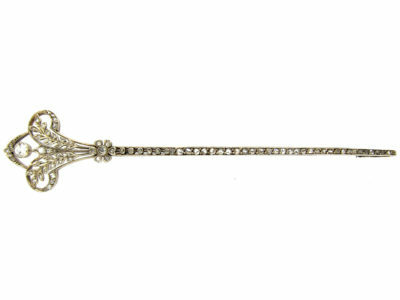 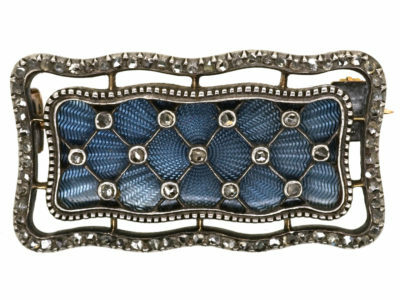 This type of brooch is called a “Sweetheart brooch”. 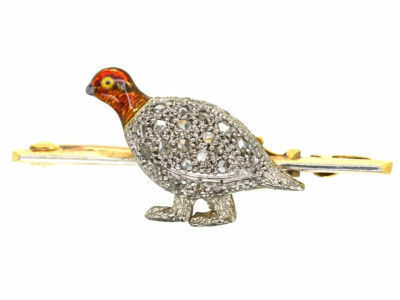 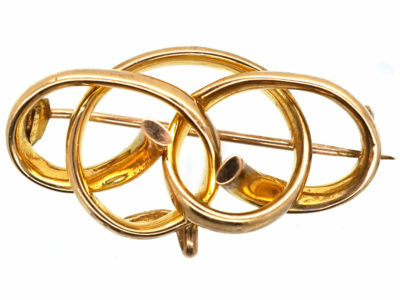 These brooches adorned the lapels of those hoping to have struck it rich in dangerous times! 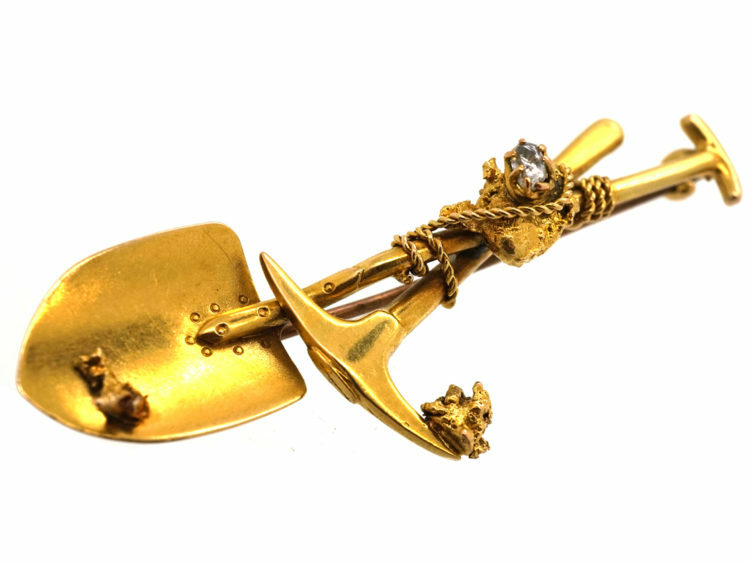 So interesting to watch the video on You tube of claims being sold and the miners marking out the claim and starting to dig!